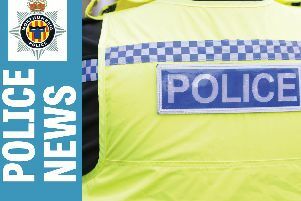 Police are appealing for witnesses after ten cars were damaged in Northumberland. The damages happened overnight between 9pm on Tuesday and 7.45am on Wednesday in Kendal Avenue, Newsham Road, Ogle Drive and Leaholme Crescent in Blyth. Ten vehicles had their tyres damaged. Officers are carrying out enquiries into the damage and asking any witnesses to contact them. Neighbourhood Inspector Dave Simpson said: “Those responsible for this malicious act have randomly chosen their victims with no thought for the inconvenience and financial loss to them. This is a cowardly act by someone whose only gain from these offences can be to think it is harmless fun to cause damage to the property of hard-working members of the community. Anyone who has information about the damages is asked to contact Northumbria Police on 101, ext 69191, quoting reference 557 110215, or Crimestoppers anonymously on 0800 555111.